Gov. Jerry Brown’s drought emergency lingers as he urges Californians to reduce their water consumption by 20 percent, even after the recent rain. 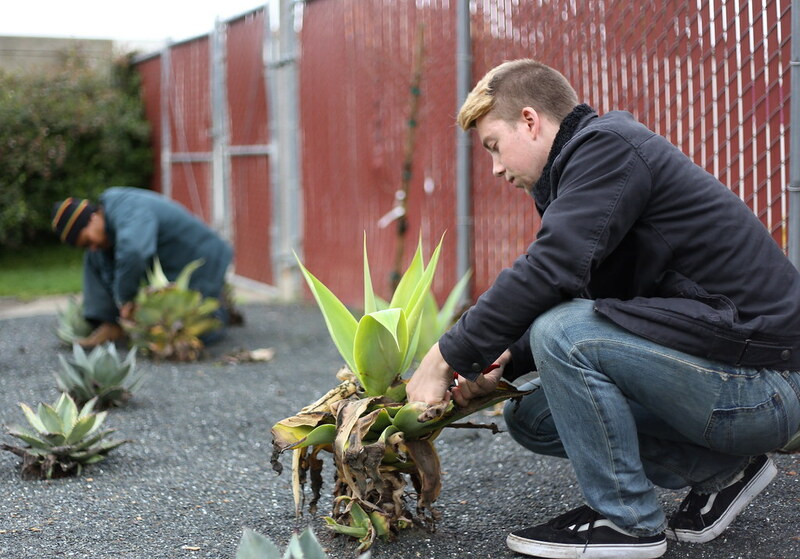 The SF State community is supporting conservation in their own way. Although the past few rainy days are needed during this time, they will not solve the problem right away. The amount of rainfall in the storms which hit the Bay Area this weekend will only be equal to about a quarter of what is normal in the region by this time of year. Fieldman incorporated the drought into her classes this semester, informing students how it affects not only water systems, but crop and food sources as well. She emphasized the need for the state to provide more information to citizens about some food products that consume more water than others. In addition to faculty, members of Sustainable SF State are formulating initiatives and creating visual aids about water conservation for students. California began 2013 with a drier-than-normal wet season and ended it with a drier-than-normal wet season, which gave the state the driest calendar year in the 1895-2013 record, according to National Climate Data Center. The student center’s sustainability program has been working on educational slides with “easy tips to conserve water,” to be displayed on the plasma screens in the Cesar Chavez Student Center, according to Sharon Daraphonhdeth, the sustainability coordinator for the student center. One of the tips includes substituting pasta and veggies for steak, due to the amount of water beef production takes. Along with sustainability groups and the Environmentally Concerned Organization of Students (ECO), the grounds department works on reducing the amount of water that is needed on campus through landscaping with native meadow grass and drought tolerant plants, according to Tyler Wescott, president of ECO students. “We’re working on our irrigation methods during this time. We’ve created a central control system that can be managed from our computers, so it’s easier to control depending on the rain schedule,” said John Cahill, grounds operations manager. By installing a central controller and fine tuning the irrigation system, the grounds crew reduced water usage by 29 percent or 228,000 gallons at Maloney field during a 3-month period from June 2013 to Sept. 2013. They have also been working on a new landscaping plan for University Park North that would reduce the lawn areas in favor of drought-tolerant native plantings with more efficient drip irrigation.